Congratulations on your forthcoming wedding, we are Richard and Tina, a successful partnership of ten years with twenty years professional wedding photography experience. Always friendly and approachable we've covered hundreds of weddings so you can feel confident that after your wedding day you will be able to relive all those captured memories. When choosing a wedding photographer it's important to feel you have placed the biggest day of your life in safe hands. Meeting in person before booking is recommended and we'll visit you at your home at a time that suits to discuss your wedding plans, answer any questions and show you recent wedding albums. So you have a complete picture of how we can help make your wedding day perfect. With our relaxed, unobtrusive and professional style you'll hardly be aware we are there and we will of course cover everything you would expect and more. For an insight into how we work just read some of our many reviews. We offer quarter-day, half-day and full-day wedding photography packages which can be further tailored to your requirements. We offer a free pre wed shoot in our full-day photography package which all of our couples have said is an invaluable addition. Over the years we've received many hundreds of lovely testimonials which is always reassuring to know. 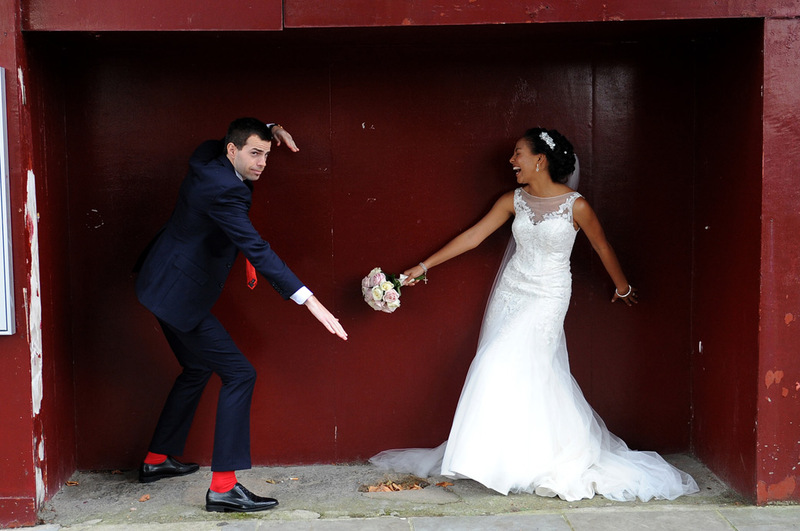 The wedding gallery reflects our relaxed, natural and flowing reportage style of wedding photography. Our pre wed gallery shows some informal and romantic moments captured before your wedding day. Our portrait & event gallery shows you when you are at your best, feeling relaxed and having fun. View Colin and Katie's October wedding at the picturesque and homely Cain Manor. View James and Lucy's August wedding at this rural and relaxed country farm. View Will and Alice's festive Christmas wedding at the grand Addington Palace. View this fine Georgian Mansion in Richmond Park. View this Country Mansion with its Roman Temple. View this Gothic Mansion with its towers & turrets. View this delightful Edwardian Country House and grounds.